W. Brand Publishing, ON Brand Books, wee b. books, and all of our affiliated imprint releases can be found here. Also featured our self-published authors we promote. Regardless of one’s language or age, comic books transport the reader into the action through exciting four colour graphics. Centered around Canadian war stories within American comic books, the comics featured in this book present a unique spirit and play a colourful role in popular culture and history storytelling. Andrea June was given up by her family for adoption before she was two years old. Andrea was introduced to a family that already had two boys, one of them being severely disabled. Despite Andrea’s poor health, this young family adopted her, and changed her name to Kari Ellen. Growing up was very difficult for Kari. She wasn’t exactly the daughter her new mom hoped to have. Her father sexually abused her. By the time she was thirteen, her parents sent her away. Peniel Christian School, a non-profit school that accepted troubled children from across the country and from every walk of life–criminal gang members, others simply had ADHD. This was Kari’s home for the next five years. Living on a seventy-seven acre farm in rural Wisconsin with forty other children promised many adventures. It was at Peniel that Kari accepted Jesus as her Savior, and saw her need to forgive her dad. Years later, Kari met her husband Drew in Nashville, Tennessee. Since they wanted to have children, researching her family history became a priority. The startling information they uncovered changed her life forever. God’s hand was surely at work . . . He had plan for her future. Purpose Power provides inspiration for action. Whether you’re itching to start a movement, in the midst of building a mission-driven brand, or rebranding an organization with a storied history, this book will inspire you to imagine new possibilities. The book explains the Heptagon Method, a seven-step framework that helps you take big ideas from ideology to action. It instructs how you can motivate your allies to become advocates for your cause. Often, when you’re focused on sparking change, the natural instinct is to rush to action. This bias toward action and against analysis paralysis—the antithesis of enthusiasm and momentum—can be a real asset for organizations motivated to make a difference. But leaders should also be wary of haphazard action leading to inconsistent results. This book clarifies the strategic sequence of action required to catalyze a movement. Purpose Power offers a much needed message of hope: we can learn as much from our failures as from our successes and really, it’s only fun if you’re not sure it’s going to work. 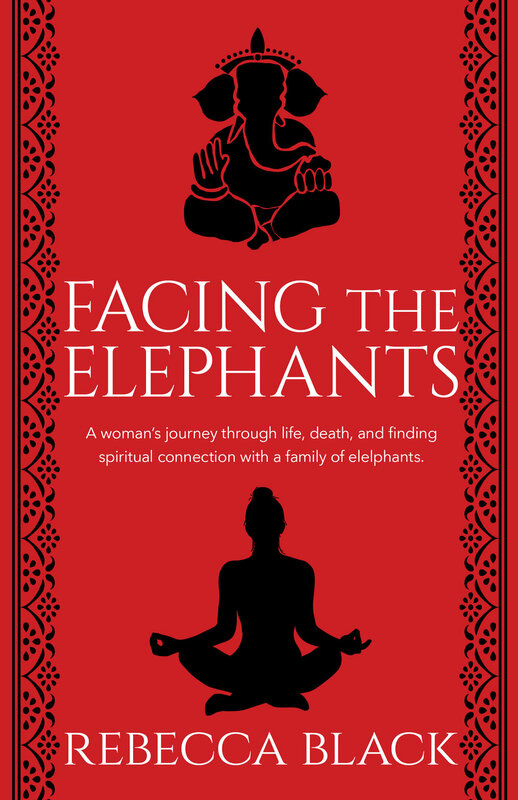 Facing the Elephants, the personal memoir by Rebecca Black, explores her past trauma, on-going health issues including dying three times, and ending with her elective double mastectomy after finding out she had the BRCA1 gene. Through it all, she finds peace and spiritual connection with an elephant family while volunteering at the zoo. This is Rebecca’s first book and we anxiously await her sophomore release. Lois Moran learned her way to the top–and with her insight and guidance–so can you. She draws upon her own career that started with working for two pharmaceutical Fortune 500 companies. After 10 years in corporate America, she made the move to the advertising side of the business. This culminated in the co-founding of a New York City-based advertising agency where she served as the CEO for 15 years. The company grew to become a multimillion-dollar enterprise. In a 3-step process, Lois guides you through your VOLTA, a transformative turning point, where your career-life will be infused with new perspective and direction. The book culminates by giving you all the ingredients you need to create your own VOLTA career plan. If you’re looking for alternatives to expensive and lengthy talk therapy or prescription medications, Find Freedom Fast offers a breakthrough approach to empower change. Check out Dr. London’s site here.